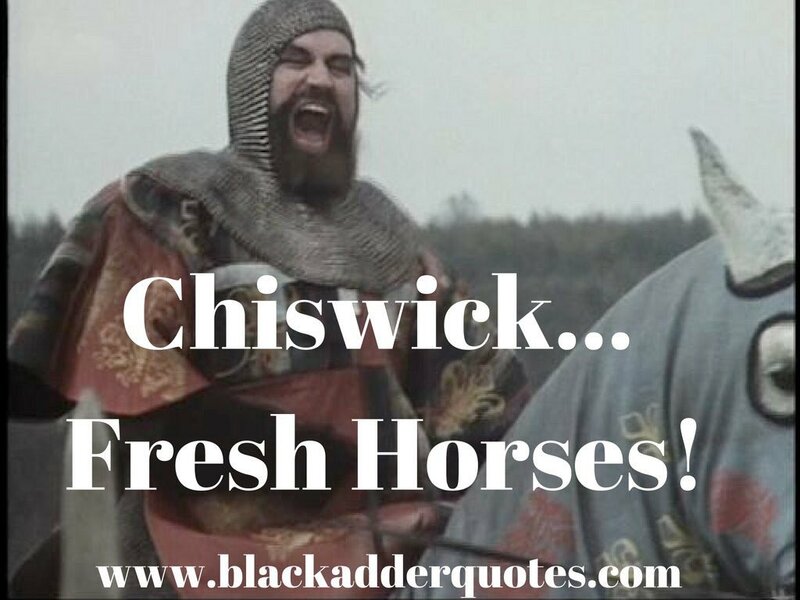 Brian Blessed in Blackadder | Chiswick Fresh Horses! Brian Blessed, born 9th of October 1936, portrayed King Richard IV of England in the first Blackadder series. Let’s take a look at his best moments. This first series of Blackadder was set in the Middle Ages, and is conceived around a hidden history. This hidden history says that King Richard III won the Battle of Bosworth Field, but was then accidentally assassinated, where he was succeeded by King Richard IV. 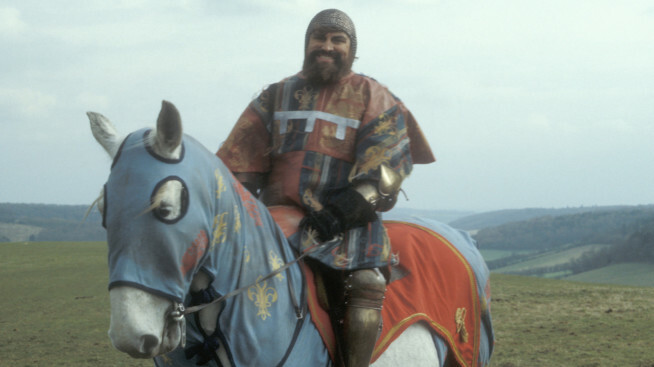 Brian Blessed plays King Richard. Let’s be honest – the first series of Blackadder is not even close to the quality of the rest of the saga. It does have its moments though, and some of those involve Brian Blessed. Let’s have a look at his best moments in the first series. We’ve also included a couple of clips of his best scenes. Well, come on — let’s go and kill some more prisoners. One of the running jokes through the first series of Blackadder, is that the King can not remember his own son’s name correctly. Poor Edmund gets called Enid, Edna, and all manner of variations. In the final episode though, the King finally gets his name right! As a bandaged Edmund lies on his deathbed with the entire court mourning over him, his father wakes him up by loudly shouting “EDMUND!” Edmund, surprised that his father had, for the first time, got his name right, mutters “Father, you called me Edmund.” Richard answers “Sorry, Edgar” (even though everyone else present was calling him Edmund) . To find out more about the last episode of Blackadder, check out this post here – Blackadder Series 1 The Black Seal. 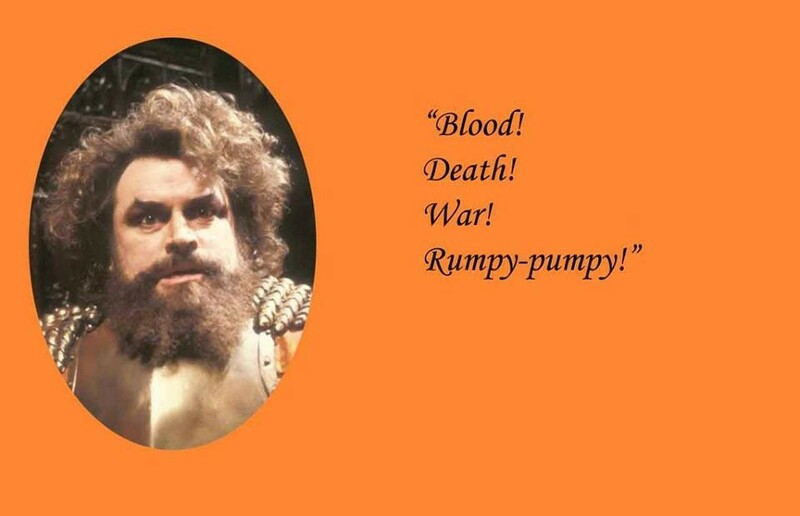 What’s your favourite scene staring Brian Blessed in Blackadder? Let us know by leaving a comment below.